Should You Get a Custom-Designed Engagement Ring? We have known about L.A.-based jewelry designer extraordinaire, Jean Dousset, in the abstract for a while but we were excited to rediscover him earlier this spring when it was announced that he was the designer of Maria Menounos’ custom engagement ring (remember when she was proposed to live on the Howard Stern show?) 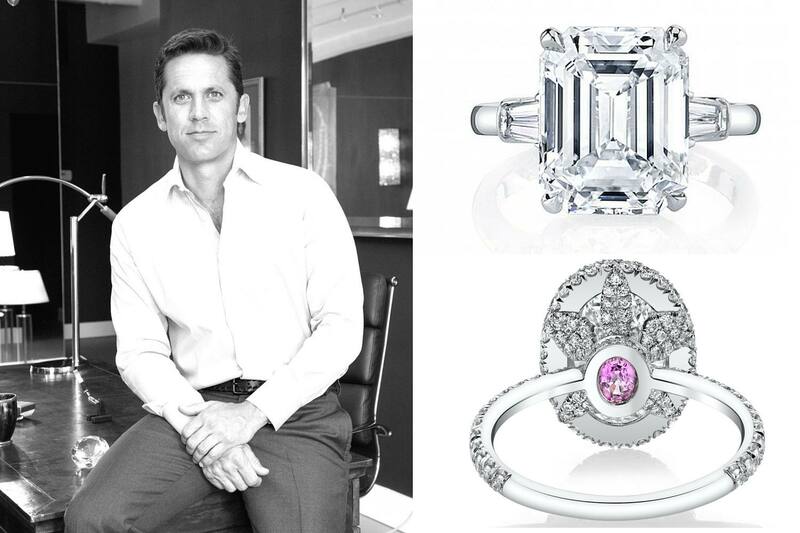 Dousset, the great-great-grandson of legendary jeweler Louis Cartier, has also designed custom engagement rings for Amy Adams and Eva Longoria. So we thought he would be the perfect interview for a post on what you need to know about custom-designing an engagement ring. Not surprisingly, Dousset, best known for his collection of Seamless Halo engagement rings, had lots of advice and opinions to share. It’s an incredibly romantic idea in theory—getting an engagement ring made precisely according to your vision—but are celebs the only ones who can afford to go this route? It really depends on your definition of “custom.” Only you can decide if a custom engagement ring is the right choice for you, but there are some important considerations to think through before you proceed. And with Dousset’s help, we’ve outlined them for you in the list below. No idea what she’d like? A good designer can help steer you toward a classic design, something that is more or less universally, objectively regarded as beautiful. Like a round diamond solitaire engagement ring, for example. But if you really are going into this cold, honestly, going to the trouble of custom-designing a ring might have disastrous consequences. Because there’s no returning an item that was made just for you! So if you have your heart set on a one-of-a-kind, completely bespoke engagement ring, the bride really needs to have expressed her preferences to you explicitly in advance. If she hasn’t, think hard: Maybe she mentioned she liked a certain style one day when you were casually window-shopping, or when she saw a mutual friend’s ring. “If she has not overtly shared her preferences with you, the answer is out there somewhere,” says Dousset. “She must have liked a picture on Facebook or Instagram, or pinned engagement ring photos to a Pinterest board.” In other words, play detective, so you don’t have to use your time with your jewelry designer aimlessly trying to extrapolate what the bride may or may not like! Let’s be clear on what “bespoke” means: You’re having the jeweler design, and hand-cast, a mold from scratch, completely according to the specifications of your vision. If you think about wedding cakes—imagine how involved (and costly) it would be to have a baker develop a unique recipe for you, plus a design inspired by your love of an obscure castle in Scotland. Such a request would require time to research the design, time to perfect the recipe and time to develop custom tools and molds to aid in replicating the details of your inspiration point (in this example, the Scottish castle). Alternatively, you could choose a cake design from the baker’s already-established repertoire—while still being able to personalize the color palette, along with many of the details and your desired combination of flavors. “At large, jewelers will prefer to guide consumers towards a ‘pre-set’ design that will require less steps—and time—to complete the ring (and sale),” says Dousset. “Meanwhile, a bespoke design requires that the jeweler be able to interpret the client’s ideas, which takes time and will therefore likely incur a surcharge.” (Think of it as a consultation fee.) “The surcharge typically comes from the added time it will take for the jeweler to meet with the client, the renderings it might require the jeweler or designer to develop as a way to illustrate the client’s ideas, as well as the workshop having to execute a ‘one off’ ring design versus a ‘pre-set’ mounting,” says Dousset. A better, more cost-effective plan? “I recommend that your approach to a custom design combine different elements of the designer’s existing styles into one original and personal design,” says Dousset. “Everyone aspires for their ring to be unique and different, whereas in reality an engagement ring is, and should be, a timeless and classic design.” In other words, it’s okay get creative with the details but there’s no need to go crazy and reinvent the wheel. The band can also take many forms—it can be thick and wide or super slim and elegant; tapered, knife-edged, shiny, brushed, engraved with an inscription or detailed with channel-set (or invisibly-set or bead-set or gypsy-set) diamonds and/or colored stones. Basically, the possibilities for customization are plentiful—and don’t have to come at a premium. With apologies to the late, great Sam Cooke, Ain’t that good news? Man, ain’t that news? Now, as the French say, Allez hop!